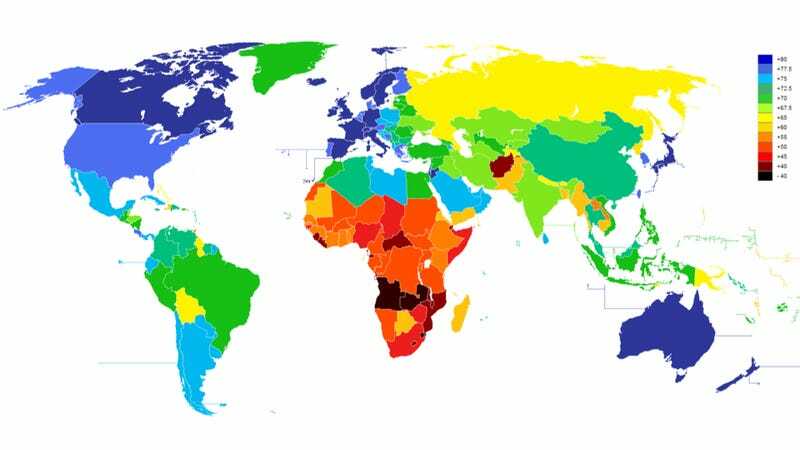 Here now to provide a some perspective on the matter of mortality is a variegated patchwork comprising 188 of the world's countries, with each nation color-coded in accordance with the average life expectancy of its citizens. Spotted on Explore. See also: The United Nations World Population Prospects Report and the CIA World Factbook section on life expectancy by country.